Montana, the Treasure State, is the 4th largest state of the US nation. Though the state is one of the largest states, it has a meager population density and is ranked 44th in population statistics. The state’s government ratified the US constitution on 8th November, 1889 to become the 41st state admitted in US union. The state features most of the rocky and mountainous terrains. The Montana state is also the Digger’s Spot as it featured mining of gold, silver, copper and various precious metals in various regions all over the state. The current status of the economy is not very encouraging in the state, but it is rapidly developing and progressing towards a more stable position. Montana has a low unemployment rate and stable health status. What is the Montana Board of Nursing and what are the roles fulfilled by the Board? Montana State Board of Nursing is the legislatively appointed council which regulates safe nursing practice in the state of Montana. Each State is mandated to have a board of nursing to look over the nursing programs. 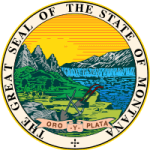 The Montana Board of Nursing is the authorized professional and occupational licensing organization for all the nurse assistants in the state. The Board is authorized and permitted to take any necessary decision or issue any regulation required to promote and standardize the level of medical services in the state. All nursing boards are members of the NCSBN and have to follow the guidelines of the Nurse Practice Act. The board enforces the nursing laws and policies in the state. Reviewing the nursing programs and preparing annual reports on board working and meetings are also some of the other obligatory board functions and responsibilities. Montana Board of Nursing is organized of 9 board members and various other board staff, who all work in coordination and collaboratively for betterment of Nursing Network in the state. The board follows the rules and regulations specified in the nursing laws and decided by the nation’s council of all the state nursing boards i.e. NCSBN. The Board’s work is reviewed by higher officials. The Economic Affairs Interim Committee studies the board working and reviews the annual report submitted by all the state nursing boards. The board provides various services for the nursing applicants and licensees and has vital duties towards general public. It maintains a registry of any complaint filed against any nursing professional in the state. The board works in separate divisions, each having its own individual goal and objectives, to ultimately fulfill the organization’s mission.